Yesterday justice was finally provided in Peru in the murder of Stephany Flores. Joran Van der Sloot was finally held accountable for his actions for the first time in his life. Joran Van der Sloot was sentenced to 28 years in prison. Joran Van der Sloot was the primary suspect in the death and disappearance of Alabama teen Natalee Holloway when she went missing in Aruba in 2005. A question to those in Aruba … how does it feel to know you could have prevented Stephany’s murder and instead allowed a predator to walk free and murder again? After continual lies from Joran, obstruction of justice and incompetence and cronyism from law enforcement investigating the case. Dutch officials called Aruba, “corrupt as Hell”. In the end Joran Van der Sloot was never held accountable nor prosecuted in Aruba. 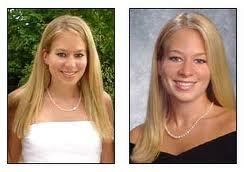 Even after multiple confessions from Joran Van der Sloot regarding Natalee, Aruba refused to move a finger. The end result, a sociopath struck again, five years to the date that Natalee Holloway went missing in Aruba, Joran Van der Sloot brutally and savagely killed Stephany Flores in Peru. Take away all the cronyism, take away all the favoritism, take away all the helping hands that Joran Van der Sloot received in Aruba and place him in a country where he was treated like just one of the many and what do we get … JUSTICE! So what did the Aruba newspapers have to report regarding their favorite son? Although I must admit Jossy Mansur and Diario were not among the Aruba media that defended Joran. From the outset they were critical of Joran Van der Sloot, Deepak Kalpoe and Satish Kalpoe. Diario was actually interested in investigative journalism, not just protecting Aruba tourism at any cost. Kudos to Diario for trying to find the truth, instead of being more concerned with taking pics at the Saperstein wedding and trying to slander Natalee Holloway and her family. ORANJETAD(AAN)– Diabierna Joran van der Sloot a wordo condena na 28 aña di prison, pa asesinato di Stephany Flores. Ta te den zomer di 2038 e lo por Sali di prison, despues di cual e lo wordo deporta. Banda di esaki Joran tin cu paga famia di Stephany 58.000 Euro. Fiscal a exigi un castigo di 30 aña. Di biaha despues di e sentencia, Joran a indica cu e ta keda cu e derecho di apela sentencia di huez. Scared Monkeys had chatted with Jossy Mansur, the Managing Director of Diario Aruba and asked if he could not share his feelings regarding the 28 year sentence that Joran Van der Sloot received. Mr. Mansur has been a guest numerous times on Scared Monkeys radio discussing Joran van der Sloot during the disappearance of Natalee Holloway in Aruba and the murder of Stephany Flores in Peru.